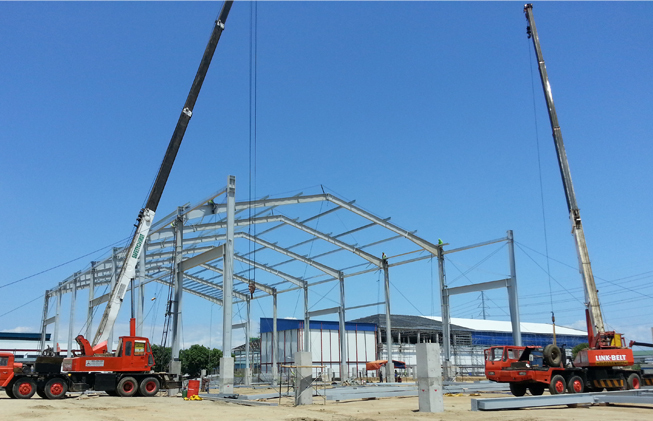 STEEL STRUCTURES are fully fabricated as designed in accordance with the specifications of the customer, shipped to site in completely knocked down condition; and assembled and erected at site. 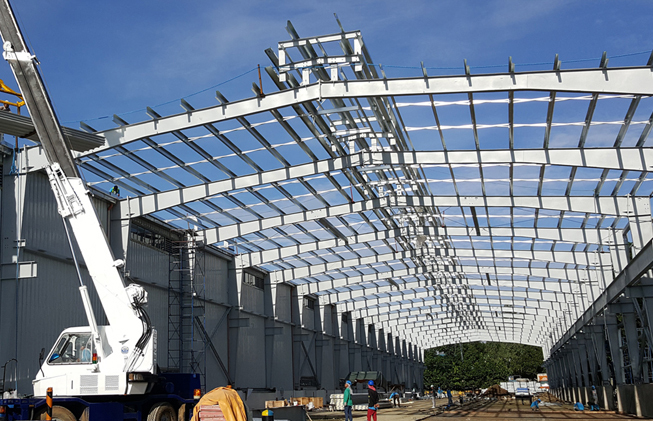 These steel structures are pre-designed using computer aided design analysis into standard sizes, spans, bays and heights. And use standard details for fixing purlins, cladding, roofing gutters, flashing, windows, doors, etc. 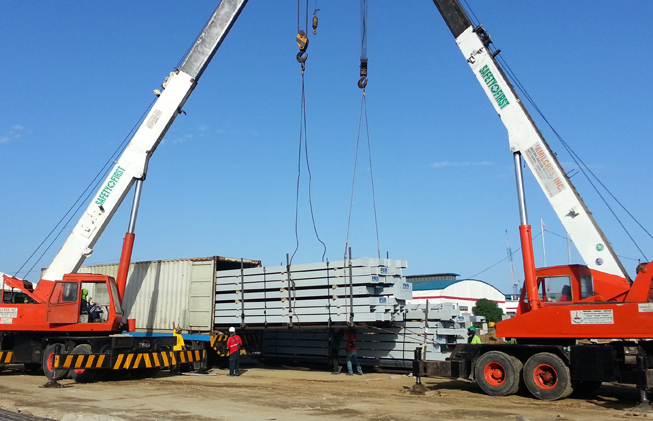 taking advantage of industrial practices of mass production of components economically.